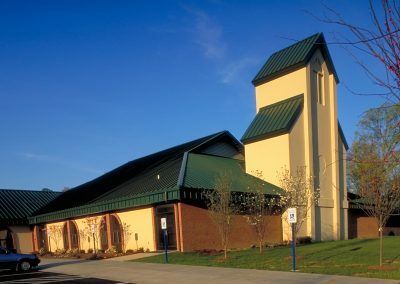 The Fellowship Evangelical Free Church’s first congregation in the Knoxville area had a building program with a number of unique requirements. The sixteen-acre site was master planned to provide for a sanctuary, educational spaces for children and youth groups, administrative areas and community groups (the term used to describe large adult classes or departments). The design criteria included the fundamental precept of the congregation: the mission of the church is to minister to the community. The building then becomes the meeting place to define the tasks for outreach. The congregation departs for that work after identifying those tasks. The architecture then becomes an expression of multi – purpose utilitarian spaces, with an emphasis on low maintenance and economical materials. The large tower facing the street is the one element that identifies the nature of the building. The church also chose to function as their own building contractor. They contracted in some instances with major subcontractors; hired certain laborers directly; and used volunteer labor as well. 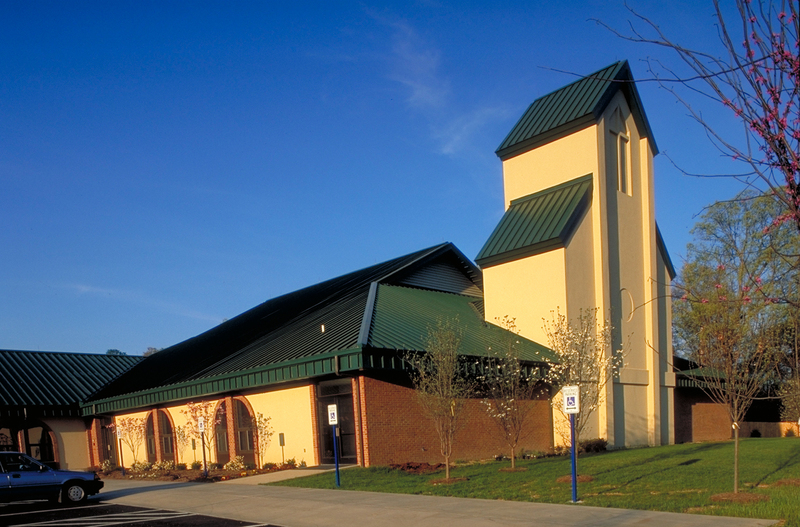 These cost-saving methods, the architectural design, and the particular choice of materials allowed the congregation to build a large amount of space at a relatively inexpensive price.